The staff of the laboratory of physical electronics was formed together with the foundation of the Institute of Electrophysics since 1986. In 1993, a group of scientists from the Laboratory of Physical Electronics and the Laboratory of Theoretical Electrophysics was united under his leadership by Academician G.A. Mesyats, having created a department of physical electronics at IEP, which was then transformed again into a laboratory. It should be noted that by the time of the foundation of the IEP of the Ural Branch of the Russian Academy of Sciences, the head of the laboratory and its leading employees had already made a great scientific foundation, which determined the topics for further research in the laboratory in subsequent years. The main result of previous work was the discovery by G.A. Mesyats of the phenomenon of explosive electron emission (G.A. Mesyats, State Register No. 176, 1966). Detailed studies of this phenomenon, carried out in a large series of works, made it necessary to radically revise a number of ideas about the mechanism of vacuum breakdown, spark and arc discharges in vacuum. The results of these studies were published in three monographs 1-3, marked by domestic and international prizes named after W. Dyke (G.A. Mesyats, 1990) and E. Marx (G.A. Mesyats, 1991). In the most complete form, modern ideas about the functioning of a vacuum discharge are formulated in an ectonic model of a cathode spot of a vacuum discharge (G.A. Mesyats, 1995). Along with the study of the vacuum discharge, the laboratory constantly develops scientific topics related to the development of theoretical methods and approaches to the description of properties and related phenomena during electron emission from "unusual" materials. The greatest attention was paid to the study of the emission properties of both ordinary metal and high-temperature superconductors, which are essentially anisotropic from the point of view of the electronic structure of materials, as well as nanoscale crystals. Currently, the laboratory has 10 employees, including 1 doctor of science, 3 candidates of science, 2 junior research assistants, 1 engineer and technician. The laboratory has accumulated many years of experience in modeling physical processes in electrical installations and has the most modern equipment for the study of fast processes in electrical discharges. 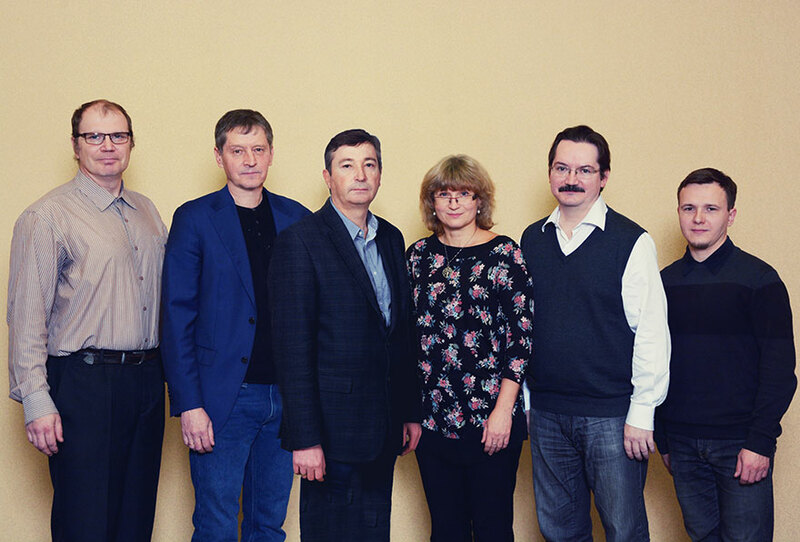 Since the founding of the Russian Foundation for Basic Research, the laboratory team has been a regular performer of research grants from the Russian Foundation for Basic Research. The development of international relations contributed to the receipt of grants from international scientific foundations such as CRDF and INTAS. In addition, the laboratory is actively engaged in the execution of research contracts and contractual work. At various times, our foreign partners were Sandia National Laboratory, General Electric Company, ABB Corporate Research Ltd, as well as domestic organizations - the Center for Natural Scientific Research of the Institute of General Physics of the Russian Academy of Sciences, the Institute of High-Current Electronics of the Siberian Branch of the Russian Academy of Sciences, etc.